A special silk laminate finish gives these paper cards a luxurious texture and amazing durability. Our ultra-smooth satin cards provide the most elegant silky texture available. Water and tear resistant. Hard to scuff or scratch, satin business cards stay looking great. 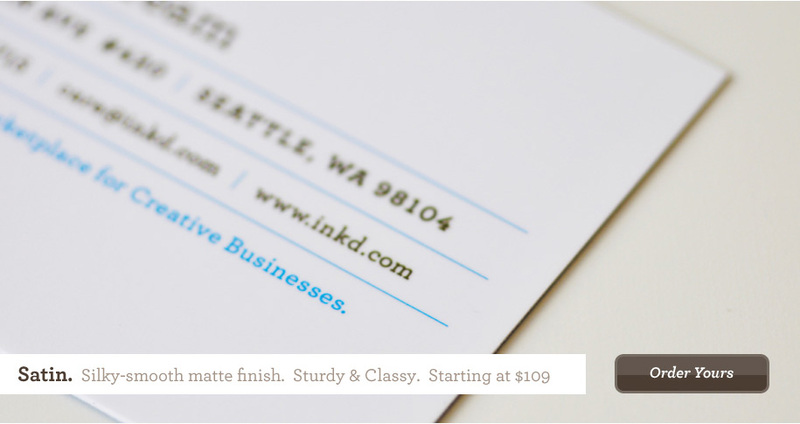 Use any of the gorgeous business card templates found on Inkd or upload your own design! All card orders include free customization by one of our team of graphic designers. Make a great impression on your customers, clients, and partners with the finest paper business cards available anywhere. Our "Satin" or silk cards offer the most luxurious finish as we provide the absolute best in silk laminating, for the best silk business cards. With smart designs and premium-grade full color business card printing from Inkd your brand looks great with ease, and keeps impressing with every card. 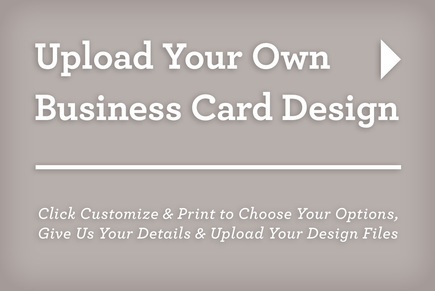 Upload Your Own Business Card Design, or Start with One of Ours!